Have you ever encountered a problem with a key breaking apart or jamming in a lock? This situation happens more frequently than many people realize. If you require the services of a skilled local residential locksmith, simply contact us and get help fast. We’ll respond to your request for assistance within half an hour (or less). Our fully licensed, bonded and insured team of expert technicians will travel to your location at any hour of the day or night. You can depend upon Pflugerville Locksmith Pros to supply reliable, accurate locksmithing solutions. We’ll reach your location quickly using the best, most direct routes. As a mobile service, we provide fast assistance to businesses, homeowners and stranded motorists. Ask us to help resolve accidental lockouts caused by keys breaking or jamming in a lock. Like any other tool, keys will eventually wear out. It makes sense to contact a good locksmith if you notice you keys becoming bent or showing fine cracks or hairline fractures on the surface of the metal. 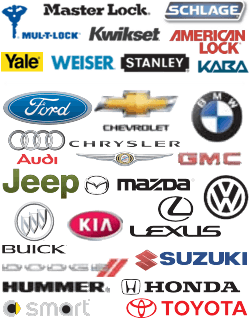 We can assist you in obtaining high-quality replacement keys. Sometimes loose pieces of keys get stuck inside locks damage locking mechanisms. An unskilled amateur broken key extraction may prove especially harmful to your property. And as a property owner in Texas, you deserve to have every aspect of your home in top condition. Whenever you require the skills of a qualified, honest locksmith in the Pflugerville, Texas area we hope you’ll contact us! We value your business. Call us to perform broken key extraction or to repair a damaged lock. We offer a full range of emergency, residential, commercial and automotive locksmith services at competitive rates. 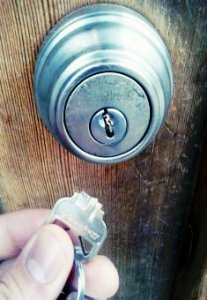 Broken Key Removal https://pflugerville-locksmith.co/residential/broken-key-removal/ 3.6/5 based upon 9 reviews.